Location: Prodigy Baseball Academy Indoor Facility Here’s a GPS Link to Camp! Info: This 14,500 sqft. baseball facility is top of the line for youth baseball training, and we will cap it at 75 campers to ensure a strict 7 to 1 player-to-coach ratio. Developing character traits in young ballplayers with a confidence-building, teammate oriented, self-esteem building baseball program over 4 days. We want to challenge ballplayers in all facets of being a baseball player including being coachable, being a good teammate, talking to coaches and umpires correctly, appreciating the sacrifice of parents and understanding the benefits of working hard. Confidence Builders – HR Derby, Dunk Tank*, Obstacle Course*, Slip n Slide Baseball – Massive plastic sheeting, pools for bases.. c’mon where was this when we were kids! Please pick one primary area you’d like us to improve in your ballplayer’s game. These videos are filmed at camp, analyzed at HQ by Pro Ballplayers, and emailed back to parents after camp! $100 Value! With early drop off you can drop your ballplayer off between 7:30 – 8:30 AM on all 4 camp days, with late drop off you can pick up between 3:10-4:30 on all 4 camp days. MEET 6 OF THE MORE THAN 12 CAMP COACHES! Pictured here pitching, Rob Rotola loves the game of baseball! There are 3 MLB players to come out of Wichita in the last 10 years & Rob Rotola has coached 2 of them! He has an obsession with the fundamentals which makes him such a great youth coach & an encouraging coaching style which inspires players to play their best! He was our most celebrated camp director last year in Wichita & Benbrook TX Camps & that is why we are bringing him up to Kansas City for our biggest and most well-coached camp ever for American Baseball Camps - Kansas City 2019! Coming off his final season as a professional where he hit .310 for the Wichita Wingnuts (Same league as the KC T-Bones) Abel Nieves has hit at least .300 in every level of professional baseball. He has learned in the LA Angels Organization (AAA), Dodgers (AA), and Royals (A), and in independent (AA) with multiple teams. He is a kind man and a student of the game. He has had wild success at our camps in Wichita, KS which is why we are bringing him into Kansas City to help direct this camp! An assistant coach at Grand Canyon University in Phoenix, Arizona - Fred is flying to KC to work with the ballplayers at this camp! He brings an unbelievably positive coaching style which is why we love him for our camps. He's coached College ball, HS, Youth, Played Professionally, Taught Private Lessons -- He's done it all & we're excited to have him in Kansas City this summer! The only coach from 2018 that we asked back - AJ Johnson brings an extensive pitching knowledge and incredible attitude to camp! He was offered a D1 scholarship out of Blue Valley North HS. At SIUE he learned the chess match with the hitter, balance, and the ability to finish pitches. These, he says, are the top three things he will be instilling in young campers in Kansas City this summer! We are very excited to have AJ back! Also traveling in from Wichita for this camp, Leo Vargas was the most consistent shortstop in Wichita Wingnuts (Same League as Kansas City) history! He hails from South Florida where he trained under a legendary infield coach. Leo then went on to play D1 Baseball, then Professional Baseball until 2018 when he retired to the Police Force & Coaching. 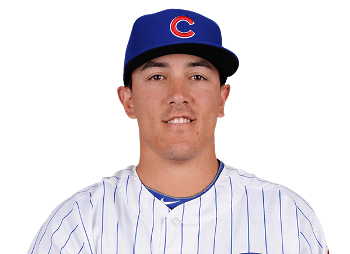 Leo is an exceptional infield coach who will be leading our Kansas City ballplayers ages 6-12 to better hands, feet, routes to the ball, arm slots, feeds, turns, hop-steps, short hops, long hops, in-between hops, and more! Also coming up for the camp from Wichita - Jeff Oldenburg has been a hitting guy his whole life. Successful at the HS, Collegiate, and Professional levels - Jeff has since retired to coaching as he leads the prestigious Life Prep Academy as their Head Varsity Baseball Coach. Jeff's encouraging and positive coaching style is what we loved about him, and his extensive knowledge of the game is what players are loving about him! We are very thankful to have Jeff at this Kansas City 2019 camp! Drills & Competitions Used by the Pros. Detailed Hitting Video Evaluations in Week 1 (Add On), which are improved upon weeks 2, 3, & 4. Hitting Emphasis – Balance, staying through the baseball, and proper swing efficiency & mechanics. Infield Emphasis – Soft hands, efficient & quick feet, and proper routes to the baseball. Outfield Emphasis – Read steps, efficient & quick routes, difficult catches. Pitching Emphasis – Proper ways to throw a baseball, proper mechanics, accuracy. Catching Emphasis – Receiving baseball, blocking, and pop-times. Hitting Emphasis – Balance, generating power with legs, finding the slot, and proper swing efficiency & mechanics. Infield Emphasis – Quick/Soft hands, proper routes to the baseball, and lots of repetition. Outfield Emphasis – Read steps, efficient & quick routes, Speed training & difficult catches. Pitching Emphasis – Learning the chess match with the hitter, finishing pitches & velocity training, repeatable mechanics. February 8, 2019, Kansas City, Missouri– American Baseball Camps (American Baseball Camp) is back in the Kansas City, Missouri. 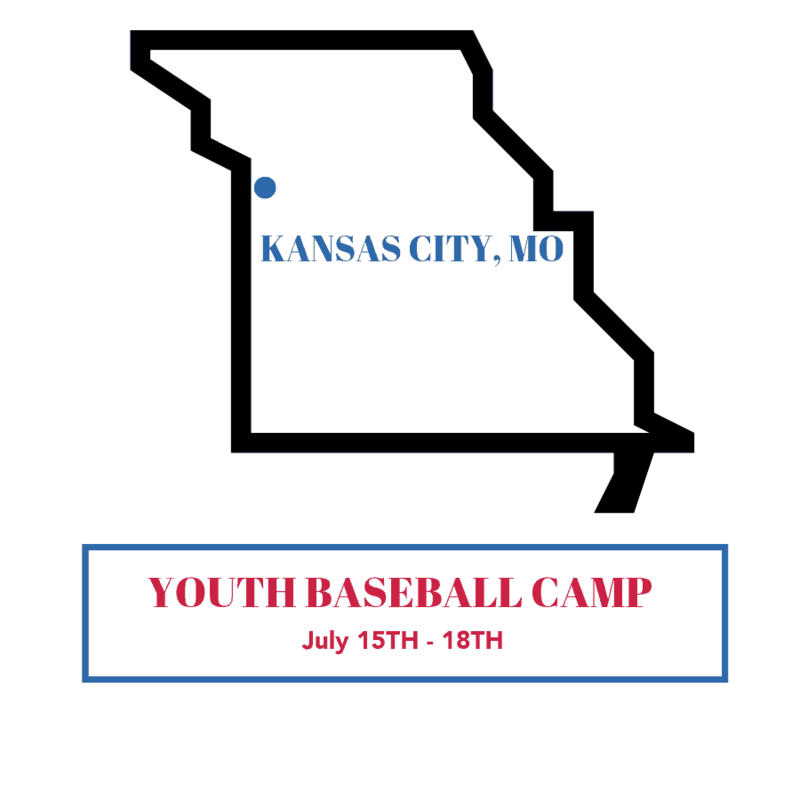 American Baseball Camps COO Fred Speck is accompanied by numerous top of line coaches in the kansas city area. 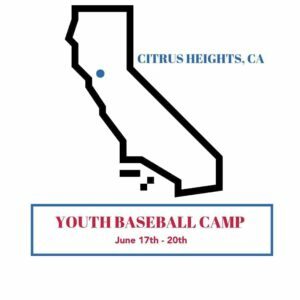 Coaching is highlighted by American Baseball Camps best: Fred Speck is the Chief Operating Officer of American Baseball Camps. Fred set numerous collegiate hitting records with a career filled with .300 or greater season in college and professional baseball. Fred will be accompanied by a plethora of local college players and coaches. Fred has run academies, coached youth, coached camps, coached college, coached everybody. We are very lucky to have Fred running this camp this summer! ABC Summer Camps will be offering pro-grade video evaluations (add-on) with recommendations & pro-grade drills & competitions (included) designed to take strides in a young player’s baseball career. Sessions are available now for players of all skill levels. Early registration discounts are available now – an introductory rate of $179.99 will be placed on the camp and it will rise to $199.99 on April 1st. Camps are tailored for serious little league, high school, and travel team players throughout the Wichita area. A one-time registration fee grants every player premium instruction in every facet of their game, whether it be: infield, outfield, pitching, catching, or hitting. If your player plays any of these positions, he will get premium instruction in each area! If you would like us to focus on one area in particular, please check that box when you customize your camp! This year’s program is an opportunity for players from Kansas City, Overland, Lees’s Summit and Lawrence areas to get better and learn the game from great coaches. 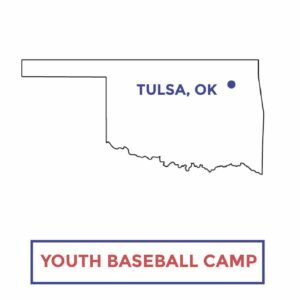 The four-day instruction program is led by local and non-local professional and high-end Coaches through American Baseball Camps. Get better & gain confidence in baseball, whether you are on a travel team or high school team already or aspire to be on one. Our expert coaches will help you gain an edge on the competition as you train to a higher level through the summer months. Space is limited by a low player-coach ratio. Sign up now! What should my camper wear? Baseball pants work, but they’ll be most comfortable in athletic shorts. We provide the camp t-shirt. What baseball equipment should we bring? All baseball equipment. Catchers make sure to bring your gear. American Baseball Camps hires and trains high school and/or college coaches from your local area. That’s the biggest advantage of the program. 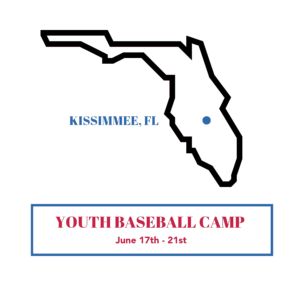 While most local youth and travel team coaches have some knowledge of baseball, this is a chance for young players to get actionable instruction and tips from our approved and trained American Baseball Camps Coaches. We ensure quality by issuing post-camp surveys to parents, providing each location with our weekly program, additional equipment, and extensive staff training. Of course, anybody interested in baseball will get a lot better and have a ton of fun at this camp! Remember, we separate players based on age and general skill level for the best camp experience. Do your coaches undergo background checks? Yes, every coach that represents American Baseball Camps undergoes a background & security check. Can we pick up early or drop off late? Yes, at each of our camps early and late drop off are offered for a fee of $5 per day for early drop-off and $5 per day for late pickup. Please pack your child’s lunch and snacks we will not be providing them at camp. However, we will be providing ample time in the shade to eat lunch and have a snack. Your kid will also receive many water breaks and we encourage you to pack plenty of water. We always provide water at camps, but just in case on a hot summer day, we prefer you to pack water as well. What if my kid is new to baseball? Will he/she enjoy the camp? Absolutely! American Baseball Camps are all about positive energy and being a good teammate. When ballplayers are good teammates they encourage each other and pick each other up, which makes new ballplayers much more comfortable. On top of that, our hand-picked coaching staff is trained to train each kid at their ability level – not their age level – leaving many kids feeling encouraged and confidence in their own improvement throughout the camp. What if my kid is an expert baseball player? Will he/she enjoy the camp? Our premium camp formula and volume-based reps give each and every ballplayer a bump in their game. American Baseball Camps is a place where a good ballplayer can get 6 hours of focused reps in a dream baseball environment. Cancellations outside of a month of camp will receive a refund minus a $25 cancellation fee. Cancellations inside a month of the camp will receive a credit toward our next winter/summer camp near you – we do this because our camps are popular and fill up quickly, so if your spot is reserved we more than likely turned another kid away. If a pre-camp injury prevents a player from attending, we will refund your money upon receipt of a doctor’s explanation. What is your coach-to-player ratio? American Baseball Camps maintains an 8 to 1 player-to-coach ratio at our camps. Last second signups may slightly skew the ratio, but this will not compromise the integrity of the camp or the quality of instruction. We go out of our way to get you the best possible instruction in your area. What precautions are taken for allergies? At sign up we prompt parents to list their child’s allergies so that we can tailor a plan for each camp. Kids are not allowed to share foods and instructors aid to the allergies listed at sign up. Baseball pants work, but they'll be most comfortable in athletic shorts or swim trunks. We provide the camp t-shirt. American Baseball Camps hires and trains high school and/or college coaches from your local area. That's the biggest advantage of the program. 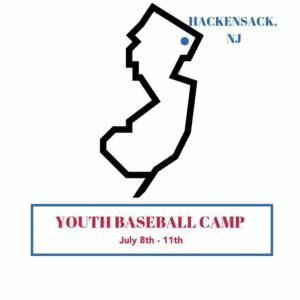 While most local youth and travel team coaches have some knowledge of baseball, this is a chance for young players to get actionable instruction and tips from some of the highest rated D1 and Pro programs around the country. We maintain quality control by providing each location with our weekly program, providing additional equipment, and training the staff. Yes, we do extensive background checks on each coach for them to be considered as an American Baseball Camps coach. Can we pick up early? Do you perform video analysis on each camper? Yes, every camper receives detailed video analysis. Players that hit & pitch will get video analysis from Pro Players on each. For all other questions, please contact us by email. Prices on all camps rise on May 1st. Book Now!